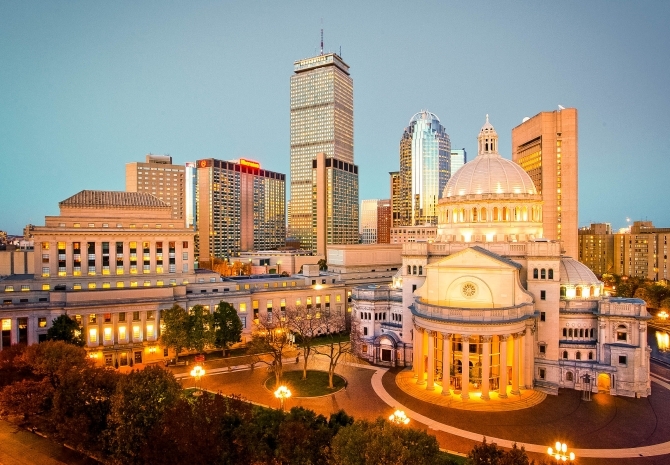 There’s only one destination like Signature Boston’s 3-2-1 Connect! It’s where your attendees can meet, sleep, and play under one roof. Connect your next event to THREE great hotels: the Sheraton Boston Hotel, Boston Marriott Copley Place, and the Westin Copley Place Boston; TWO upscale shopping destinations: the Copley Place Shopping Galleries and the Prudential Center; and ONE Hynes Convention Center – all set in the heart of Boston’s charming and historic Back Bay neighborhood. 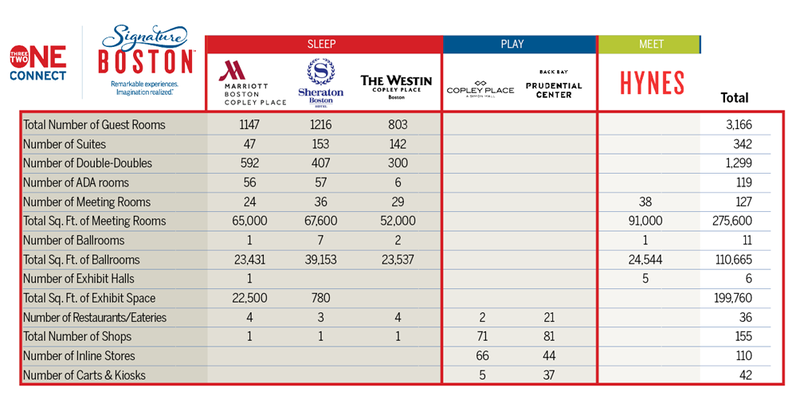 All 3 hotels are globally recognized brands that have been rated as top meeting hotels by Cvent!